Hello again! I'm so glad to be back here to share with you 3 bible pages that I've created with the September GraceBox kit. This month's theme is all about Strength and it sure lifted my spirit when I spent time going through the verses I'm creating with. 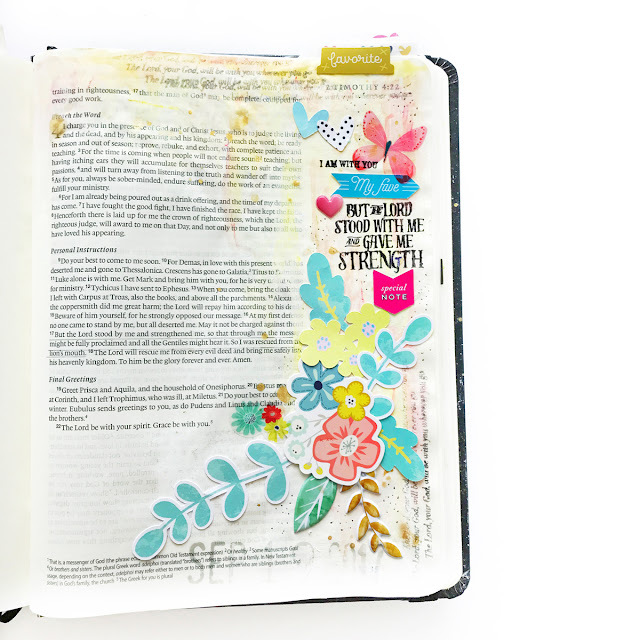 I really love all the mixture of patterns and elements + all the fun and bright colours that come in this month's kit. It sure sped up my creative process with all these amazing products packed into a kit! Don't you just love those CTK exclusive die cuts?! They worked so well together with the other amazing products in the kit! 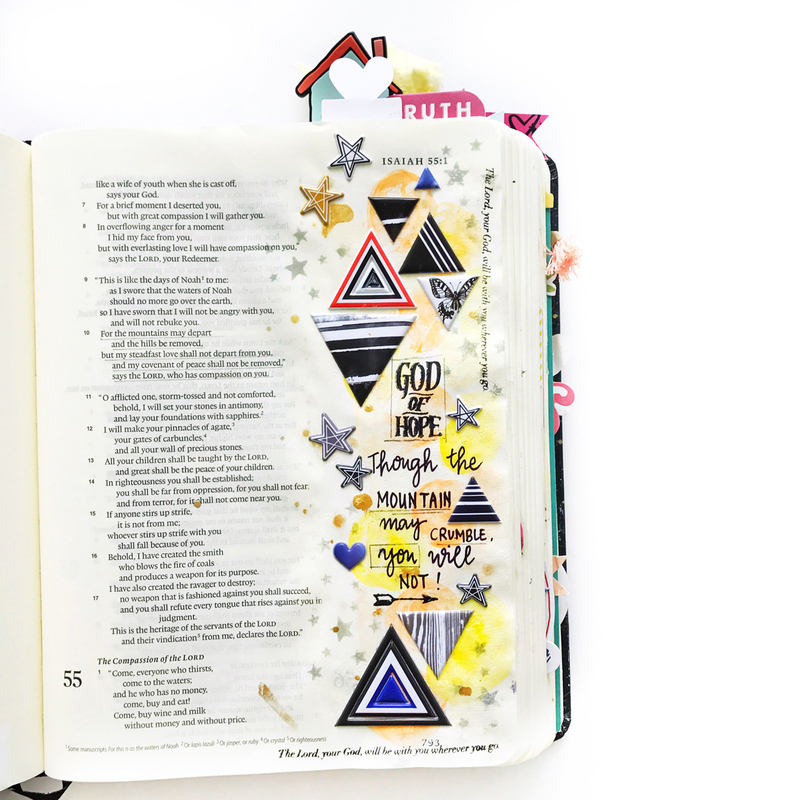 I really love the verses on the journal cards and those verses actually led my direction in creating on my bible. 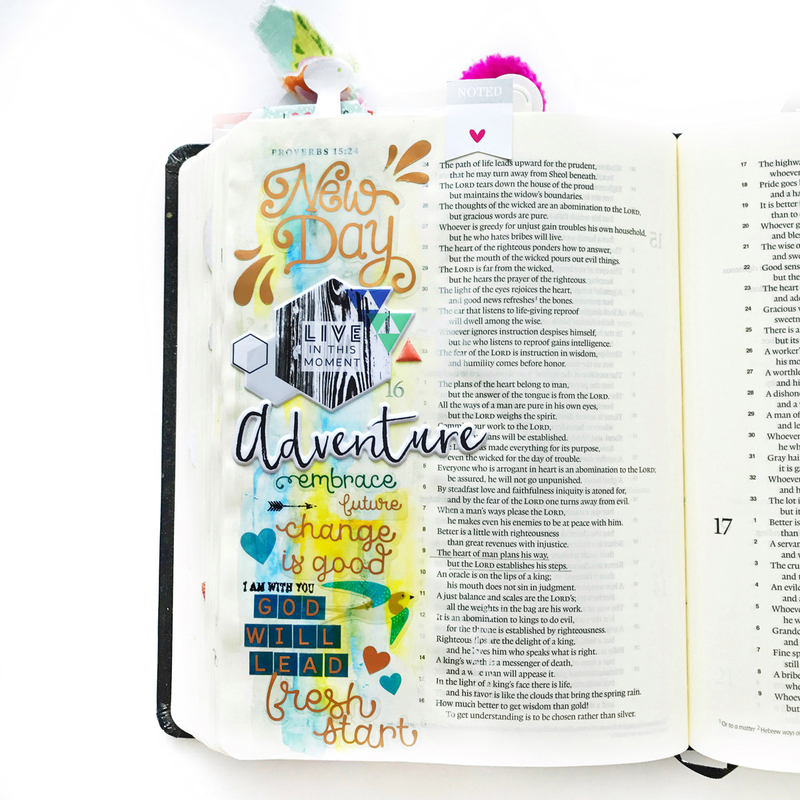 Hope you are inspired to create on your bible today! Thank you so much for coming by.